Pilar is a furniture collection for Van Den Weghe Items. 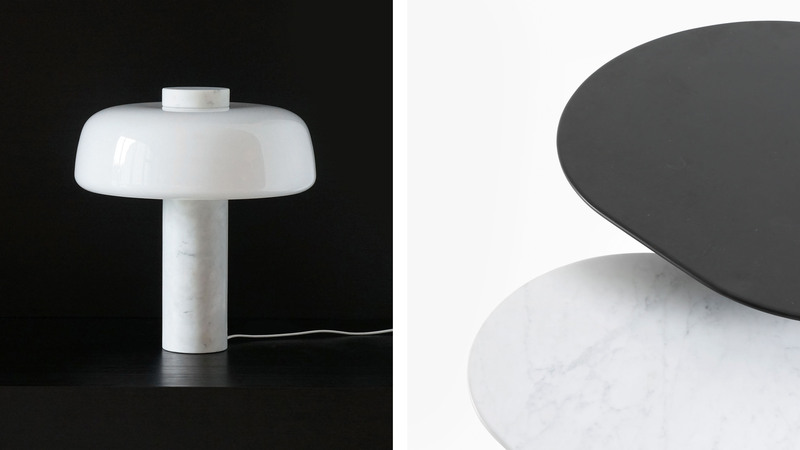 The collection consists of a table lamp and a set of oval low tables. Raak's collection is characterized by an interplay between sensual and abstract forms in combination with the use of high quality materials. 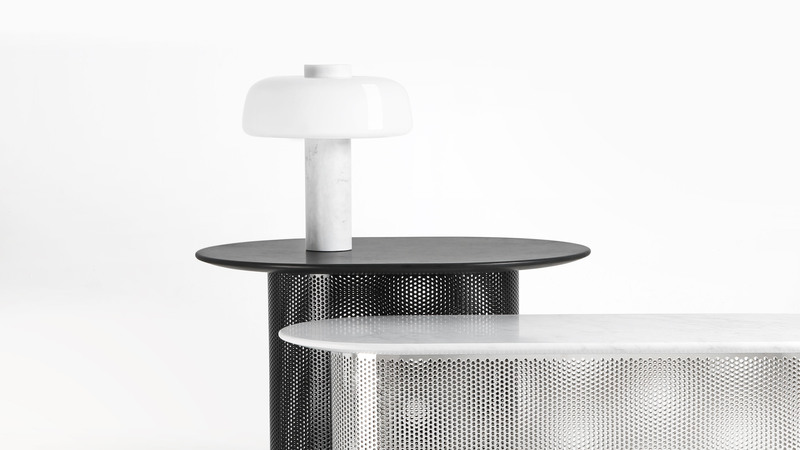 The oval low tables are composed of a perforated metal base and a carefully shaped marble top. 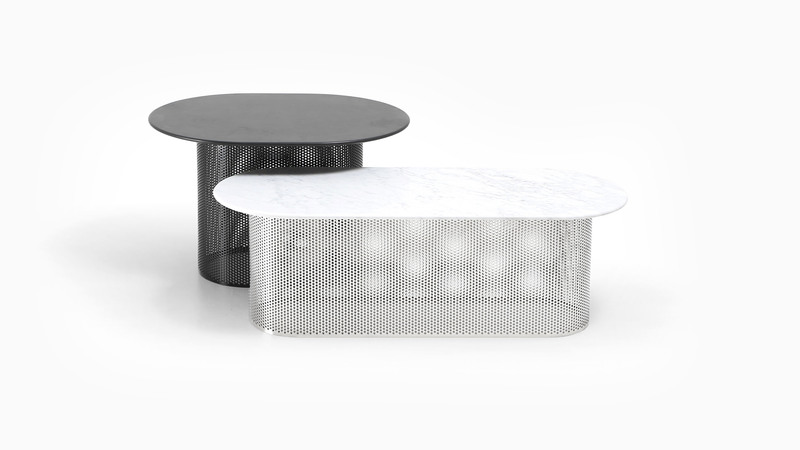 Produced in two different dimensions, the low tables create a playful and layered setting. 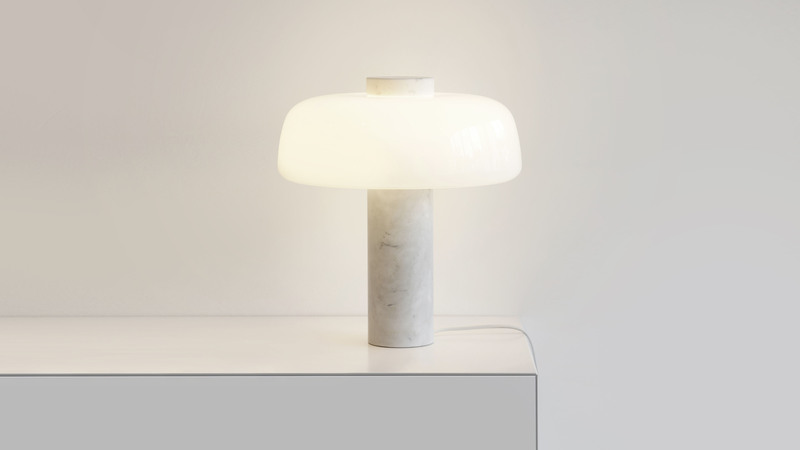 The table lamp features a handblown glass shade which is wrapped around a marble foot. When lighting up the lamp, a warm glow emphasizes the form and precious materials of the lamp.